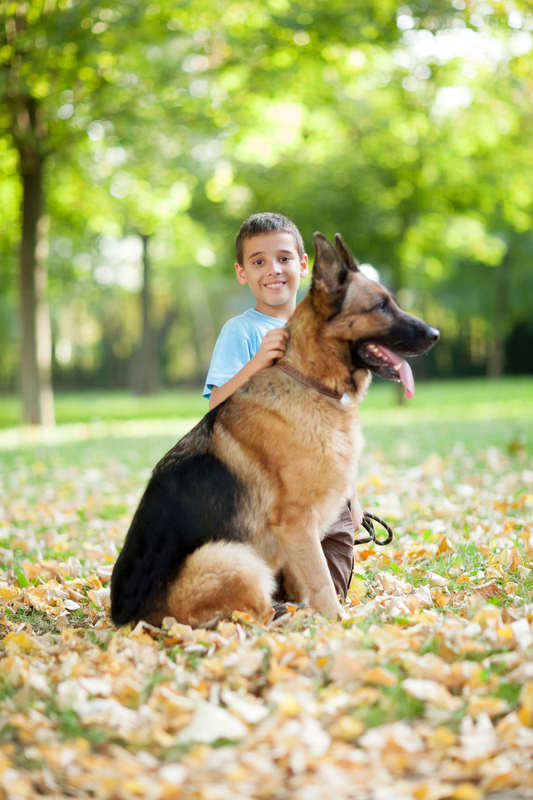 It is fairly common nowadays to observe children or adults go out accompanied by a protection dog of some sort. These dogs are not only their best friend, but also served as a warning system and deterrent for any criminal that might think of their individual. Dogs not only are equipped with a formidable set of teeth, but their barking helps warn people in the immediate area to watch for danger and to possibly get help. Today, dogs are not welcome in many buildings, events or schools for various reasons. If the dogs are trained, regularly vaccinated, licensed and groomed, these reasons are largely unfounded. Fully trained protection dogs are safe to the general public as long as they keep their hands off the dog’s master or mistress. We’ve all seen watchdogs on a chain in front of his owner’s house. However, keeping dogs outside the home limits not only their ability to protect your family but can also hinder the relationship between dog and owner that is so important for protection. Dogs love to interact with their humans, and the relationship they build through simple interaction builds a bond that is necessary for protection. When a dog receives the attention he deserves, it also calms the dog down, allowing them to be more trainable. A home protection dog is not only a joy as a family companion, but also gives you peace of mind they act as a major deterrent for thieves, kidnappers or other mischief-makers. Dogs can be fast and aggressive when need be, and their barking alerts their owners to something not being right, which can be a catalyst to police arriving at the scene. Dogs are incredibly intelligent and adaptable animals. During World War II, pet dogs were donated to the Army where they were trained that all people and animals aren’t necessarily friends, and how to tell the difference.They served admirably and then returned home, not only with the added protection, but also as loving pets once more. A personal protection dog stays by your side through the thick and the thin. Just look in the newspapers or look online and see how many dogs protect their owners from criminals or predatory animals like alligators and bears. Once they are fully protection trained, your dog can allow you to have an extra sense of security no matter where you are.